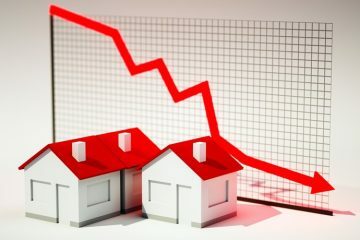 The Canadian Real Estate Association (CREA) blames the mortgage stress test introduced in January for slow activity across the nation in April. The housing market has cooled in all respects from April of last year, when the market peaked: the average sale price declined by 11.3 per cent to $495,000, and home sales by 2.9 per cent, reaching the lowest level seen in more than five years. “The stress test that came into effect this year for homebuyers with more than a 20 per cent down payment continued to cast its shadow over sales activity in April,” said CREA President Barb Sukkau. All federally regulated lenders must now qualify applicants for their uninsured mortgage at the Bank of Canada’s benchmark rate (currently 5.34%), or their contract rate plus 2 per cent, whichever is higher. This new guideline has priced many out of the market, or forced them into less expensive types of properties. This becomes apparent when we look at the difference in activity among market segments. Apartment units posted the largest year-over-year price gains at 14.4 per cent, whereas detached homes, typically the most expensive market segment, were down 4.8 per cent. OSFI, the bank regulator, instituted these new rules in response to overheated markets in the Greater Toronto and Vancouver areas, but its effects are far-reaching, to markets that weren’t considered in need of a cool down in the first place. Alberta, Saskatchewan and Newfoundland and Labrador were profoundly affected, says CREA, adding to their economic woes of declining natural resource prices. “This is exactly the type of collateral damage that CREA warned the government about,” says Gregory Klump, CREA’s chief economist. The only markets that saw price gains year-over-year are small cities: Halifax, Montreal and Ottawa.